File this one under ‘Crude But Effective.”’ A van full of masked men recently smashed through the wall of a Corktown, Detroit cannabis dispensary with their pickup before taking off with as many edibles and vape pens as they could carry. They apparently failed to crack the safe, so the flower and cash were spared. Does this mean cannabis dispensaries attract crime? No. This recent robbery is the latest in a trend of smash-and-grabs happening in the Detroit area where robbers drive vehicles through the walls of businesses–picking the lock seems to have gone out of style. Gas stations, liquor stores, and several other businesses have been robbed in this way. It does mean business owners in every industry are seeing their insurance rates climb as their area becomes riskier to insure. These robberies have all been reported to police, but many of the perpetrators, including the BotaniQ robbers, have not been caught and there are currently no suspects. 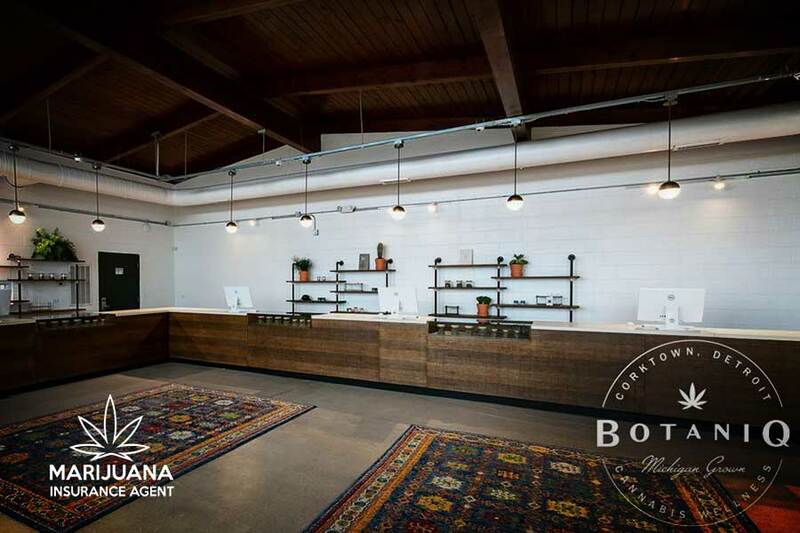 The BotaniQ dispensary had opened its doors only three months ago and is now forced to shutter again as it rebuilds its facility and works through insurance claims. A good dispensary insurance policy should include property protection from theft and vandalism as well as business interruption coverage. Business interruption coverage takes care of you and your employees while you are rebuilding and unable to conduct business as usual. It’s unclear what the robbers were after at BotaniQ, but what they got was just a few thousand dollars worth of product. All the highest value products were stored in the facility’s safe. The moment when someone rams a truck through your business is the moment you’re thankful for the security measures required by insurance providers and regulators such as safe deposit procedures and high-quality security cameras. Cannabis dispensaries are not robbed at a higher rate than other businesses, but the robberies that do happen often get picked up by media because of the national interest in cannabis right now. Dispensary robberies aren’t as common as you’d think, and there is evidence that suggests dispensaries might actually improve crime rates in the areas they go into. The high security measures alone are a deterrent for many would-be thieves, and sometimes what they steal isn’t actually cannabis. Luckily, the Corktown dispensary was not open during the robbery, like a Detroit gas station recently was when it was robbed. Several lives would have been at risk. If it had been robbed while people were present, however, the dispensary’s general liability policy would likely also come into play to handle claims. There are many security measures that businesses can take, but the fact is that property crimes targeting businesses have been rising in many cities in the U.S. That is why insurance exists, to plan for the unplannable. You never know when you’ll need it, which is why it is important to work with your insurance agent. The state may require you to have insurance, but that doesn’t mean it shouldn’t work for you. You need to understand your policy and how it can help you in your time of need.